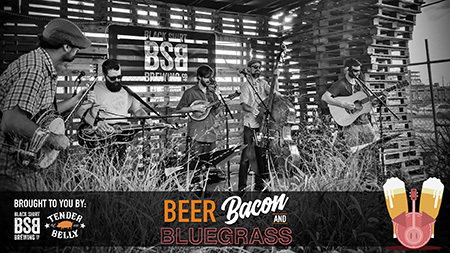 Beer, Bacon & Bluegrass is back and better than ever! This mini-fest, featuring live bluegrass music from Part & Parcel, is free and open to the public. Our friends from Tender Belly will be hanging out in the beer garden cooking up their cherrywood and habanero bacons - think bacon wafting through the air, free bacon samples, bacon by the pound for sale - and we've designed a special bacon-centric menu for the occasion with items that will be available for purchase all day. We now have buckets'o'beer that are great for sharing, and for the non-beer drinkers in your life, we've also got a full cocktail menu. No tickets are required for this event - just show up and enjoy yourself! Beer, bacon and bluegrass is a cure-all. Turbo Juice Special Release | 16oz. 4-Packs!